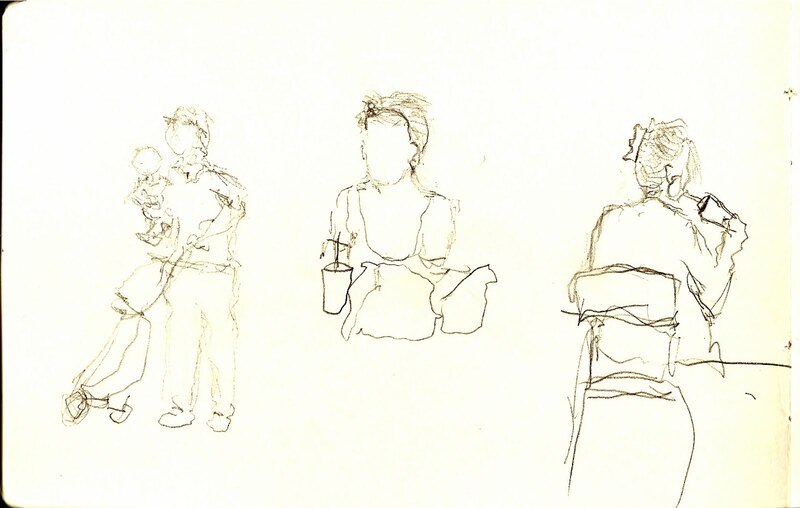 Instead of the library, I went to the mall today to sketch people in action.. I had Madhavi for company - she is awesome! She just these misc type activities.. Tanush and Manu had come too, but daddy was supposed to play just daddy today, so mummy could take her time off completely.. 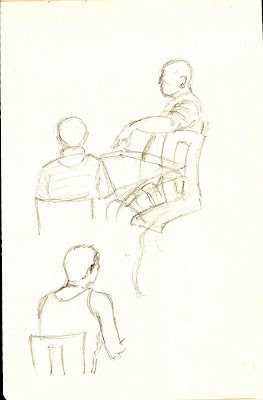 It was fun, but this being the first time that I was sketching people in public, I was quite nervous to start with.. But it later got easy and I just went with the flow.. 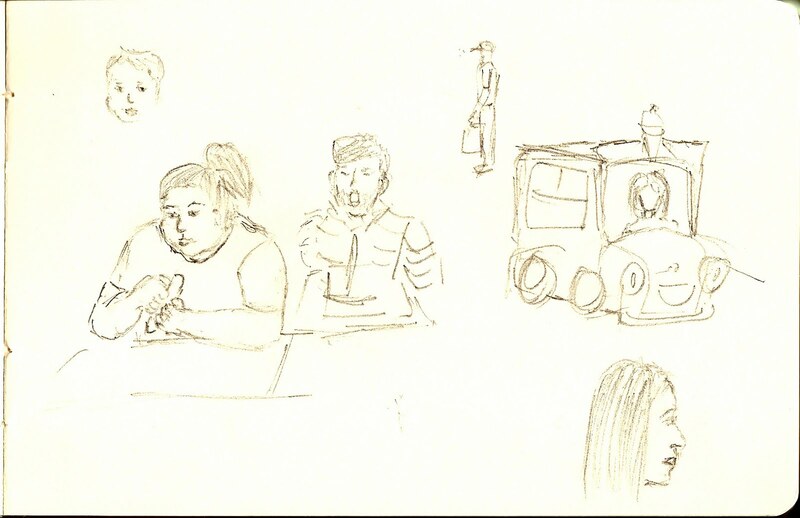 I did notice a couple group of people trying to see if we were sketching them or not, but we really couldn't care less, as we were anyway not sketching them!! 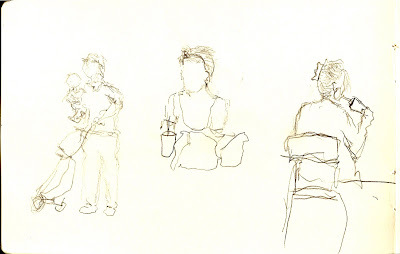 I just fell in love with her sketch of the lady digging into her sandwich... And then she went on to try some sketches with her Non-Dominant hand..
Great sketches. Thank you for visiting my blog. Yes, it is Clint Eastwood. What a fun day! I like all the sketches the two of you made. This looks like a great time to me! How great to have a friend who likes to do this with you! Both of you did wonderful sketches! I liked your sketches Shalini, and Madhavi's non- dom sketches are nearly as good as the dominant hand ones..
Good experience and good results! ;-) I agree with RAENA: how great to have some friends to share this passion! Really nice sketch! I could totally imagine how speedy you were with the pencils. It's definitely not easy to cover so many people in such short period of time and that's talent! 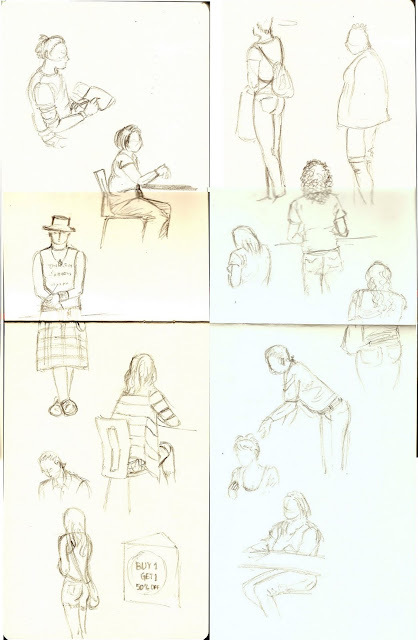 These are great sketches, Shalini. 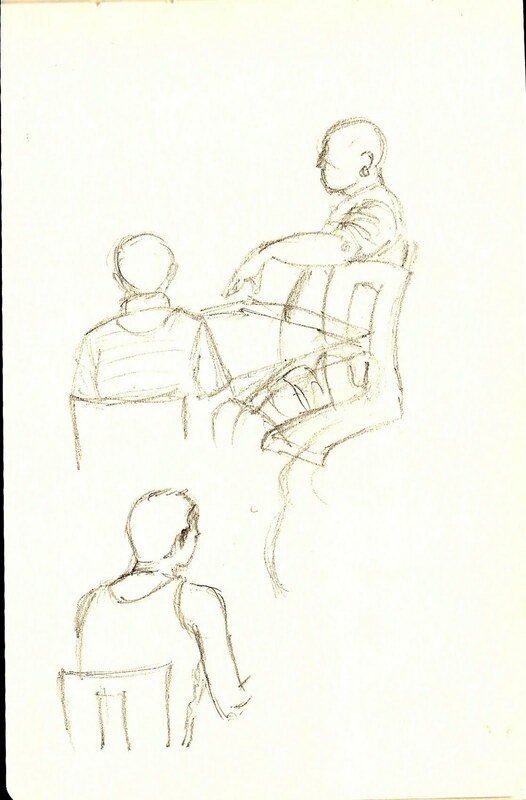 Nice sketches. I also enjoy sketching people on the go at the mall etc. I wear sunglasses - so it's not so obvious I'm studying them. AT least it makes me feel more incognito. Thanks for stopping by my blog & commenting. 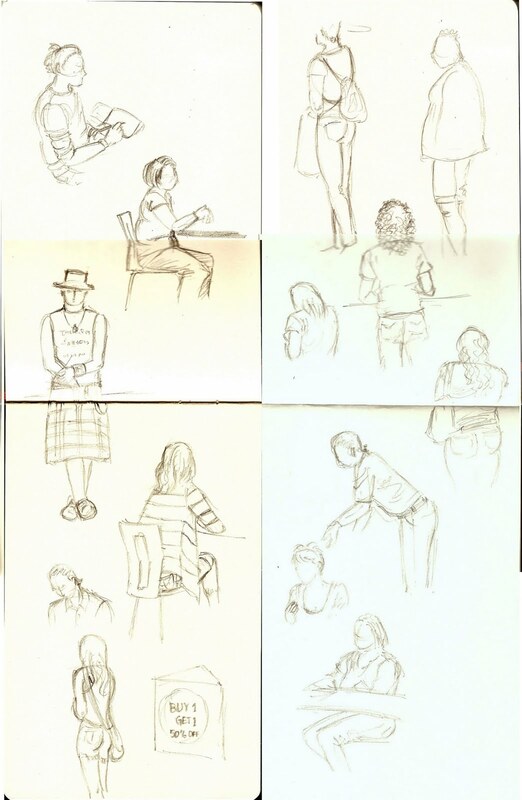 Great sketches and good for you, sketching in public!